SBNY PODCAST --ALL THINGS NBA HOOPS! 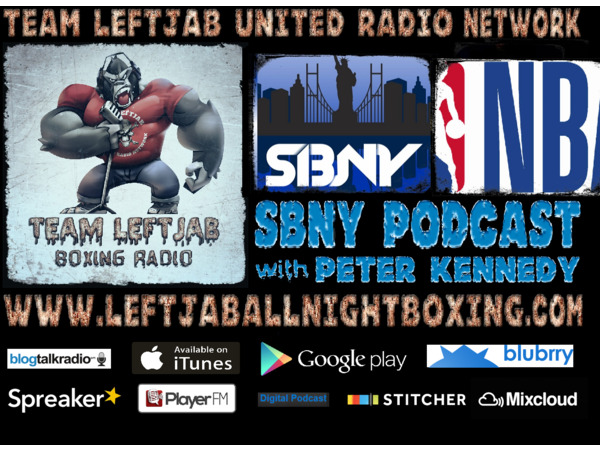 If you liked this show, you should follow Team LeftJab. Hosts Peter Kennedy, John-Lucas Duffy, and Frank Villani talk all things hoops - from the Jimmy Butler trade and what that means to the Sixers and Eastern Conference, to the Warriors Draymond Green / Kevin Durant drama, the Melo era in Houston ending and what it means to the Rockets, and more. We close out by playing Real or Not Real in the NBA: What teams can keep early season pace, where does Oladipo rank in the East, is DeAaron Fox a future All-Star?